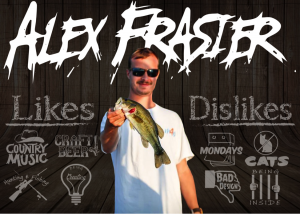 Today’s Employee Spotlight is Alex Frasier! I was raised in Norton Shores, Michigan. I now live in Whitehall, Michigan. 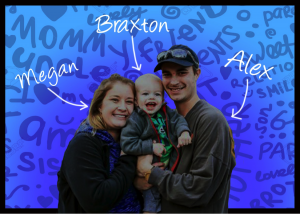 I live with my girlfriend, Megan, and our 2-year-old son, Braxton. 6. What is one piece of advice you have for someone who is just starting at LongerDays? Don’t be afraid to ask for help. There are a lot of really great employees here that are willing to help – all you have to do is ask. 7. What’s your favorite part about your job? Everyone here is so unique! Everyone has a job title and certain tasks they perform, but the amount of talent that doesn’t relate to work is what amazes me. We have musicians, writers, designers, gamers, rock climbers, actors, and actresses. What brings these talents together is the fact that everyone here is ultimately a great problem solver – and those are the types of people I like to surround myself with. 8. Tell us about your background before joining LongerDays. Before LongerDays, I was living in Portland, Oregon. I graduated from the Art Institute of Portland, majoring in Graphic Design. Shortly after graduating, I returned home to Michigan in hopes of starting a career here in Muskegon. I spent a few months freelancing and job searching until I finally came across LongerDays. 9. What is the best advice you can give your clients to get the best out of their experience with LongerDays? Do not hesitate to send a task our way, big or small. LongerDays is much more than what our services may offer: we are a group of very talented problem solvers that will make sure your task is delegated to the right employees and done to your satisfaction. 10. How would you describe LongerDays in 3 words? Teamwork – We are a team that is always willing to lend a helping hand to each other. No one is above anyone else. We make a great collective of hard workers who can do pretty much anything when we put our minds together! Creative – Not only do we get the opportunity to let our creativity loose at work, but outside of work is where the creative in each of us really shines. That constant flow of creativity is what makes us unique. Growth – I believe that there is potential with our talented and hardworking employees here to not only grow as a company, but to grow as individuals as well. LongerDays has encouraged me to grow as a person within the last 3 months by tapping into skills that, before working here, I may not have known existed. 11. What are your Top Three life highlights so far? The birth of my son, Braxton, and becoming a dad. Graduating from The Art Institute of Portland. 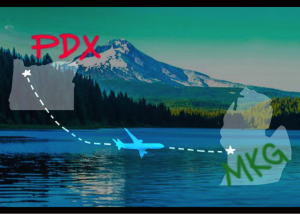 Moving to Portland, Oregon… On the contrary, moving back home to Muskegon, Michigan. 12. What is your favorite thing to do in Muskegon? I love spending time with family. I missed out on three years of real quality time with family while I lived in the Pacific Northwest. Some things I like to do in Muskegon with family include hunting and fishing with my father and volunteering for community events. 13. What is one of your favorite quotes? 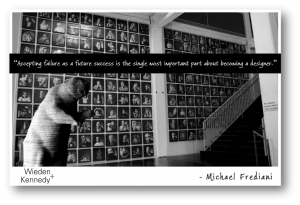 Michael was an adjunct professor at The Art Institute of Portland, who was also an employee at Wieden + Kennedy (one of the largest independently owned advertising agencies in the world). Everything about Michael was so inspiring, and everything he said during our semester together sticks with me to this day. I wish I could pause time. Sometimes I find myself thinking: “what if I had more time?” Life seems to fly by, leaving only memories of events – some more meaningful than others. The ability to pause time to cherish those moments and feel those feelings for a little longer would be a great ability to have. 15. What excites you so much that it keeps you awake the night before? There are three nights a year that I have always had trouble sleeping: the night before deer bow season opening day, deer rifle season opening day, and the night prior to the duck season opening day. If I do get a wink of sleep any of these nights, I find myself dreaming of the monster buck that I’m hoping to see, or the flock of 1,000 ducks locked on our decoys, getting ready to land.